while the staff and residents are an extension of our family. Assisted Living Residences in Michigan. with her license in Nursing Home Administration. Together, with over 37 years of experience, Mother and Daughter value family, friendship, personal dignity, compassion, honesty and trust. Denise’s career began as an activities director, but soon advanced as a social worker, admissions director, and then as an administrator. She has a BS in Gerontology and is close to completing her Master’s in Hospice. She has personal experience with being a long distance caregiver to her father, and home-based hospice care with her mother. Denise realized she was ready for a change after working in independent senior housing, assisted living communities, and nursing homes. 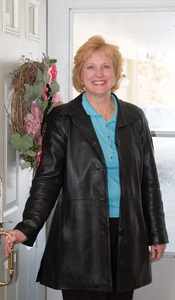 Denise values family, friendships, honesty and trustworthiness, compassion, and the dignity of a person. Denise’s expansion plans include a hospice home/ loss aftercare program.